IT’S NOW 30 DAYS OF BEING SILENT! 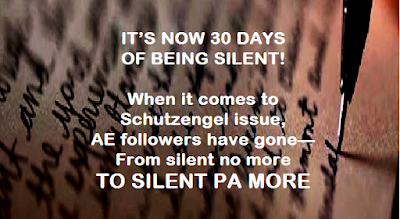 AFTER we published in the Social Media the Schitzengel Telecom issue, the Fallen Angels choose to be silent. No any words from Angel Villanueva M., Marc Villanueva M., Joy Yuson aka “kelly Ong,” Menorca, Jun Samson, Louie Cayabyab, and Rolando Dizon. Rovic Canono aka “Sher Lock” and Bless Grace Hernandez aka “Benito Affleck” tried a few times to answer it, BUT FAILED MISERABLY. 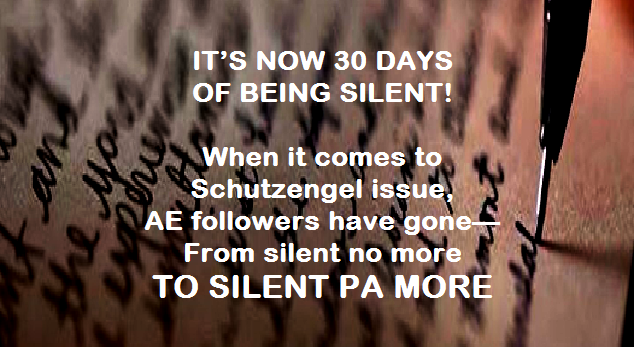 At present, they are now also “Silent pa more” like their bosses. WHO ARE THE PEOPLE BEHIND “SCHUTZENGEL TELECOM? “SHER LOCK” IS NOW A “DENIAL KING”! SHER LOCK, YOU’RE SAYING THAT “SCHUTZENGEL TELECOM” STORY IS A LIE? ANOTHER OF SHER LOCK'S IDIOCY: HAVING A RADIO CALLSIGN IS A DEAD GIVEAWAY OF BEING OBSESSED WITH TELECOM BUSINESS? Fallen Angels response to our challenge is all but "palusot" to get away from our challenge!